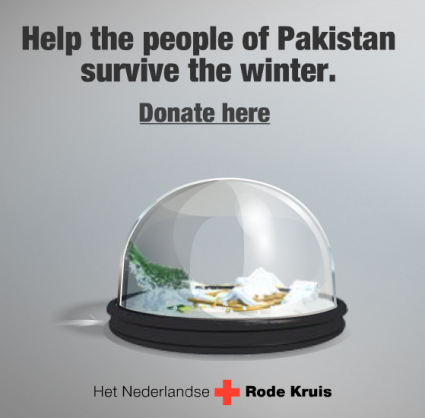 The Red Cross foundation in Pakistan used this ad to encourage donations for those who needed support during the winter. 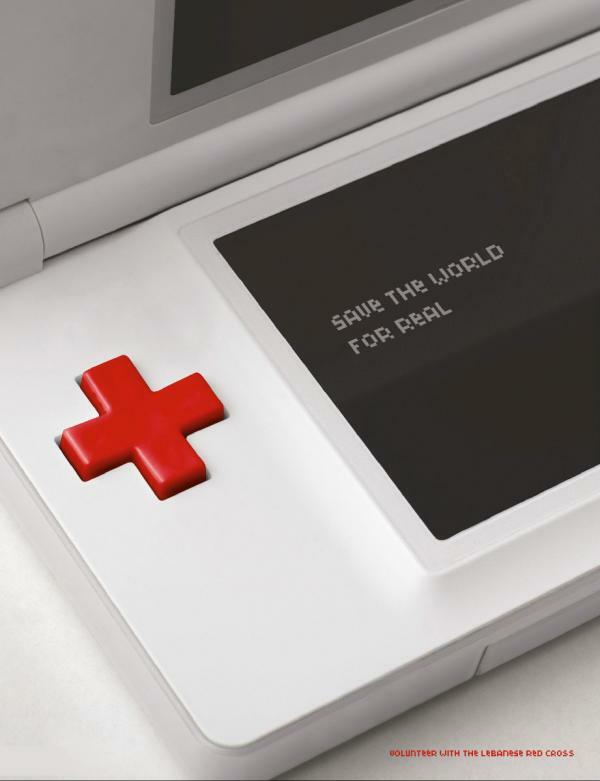 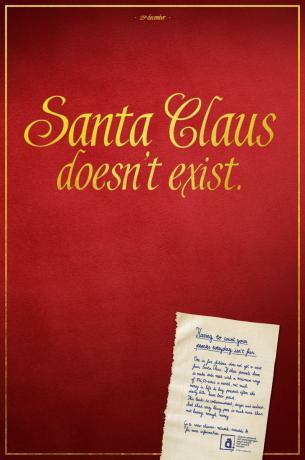 This is a general ad from the Red Cross aimed at trying to get the younger generation to help those less fortunate. 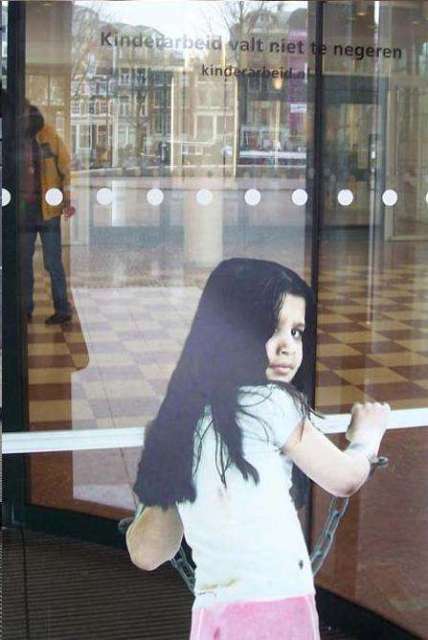 To help raise awareness about child labor, the Dutch House of Parliament created these ads on revolving doors. 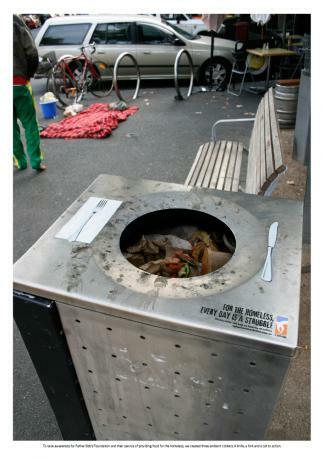 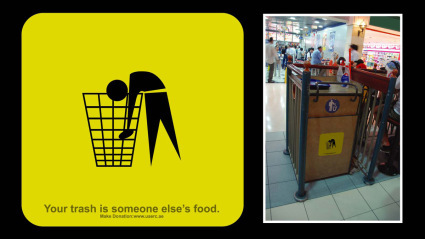 Here is a creative advertisement that was placed on the underside of trash can lids that reads; "Help. 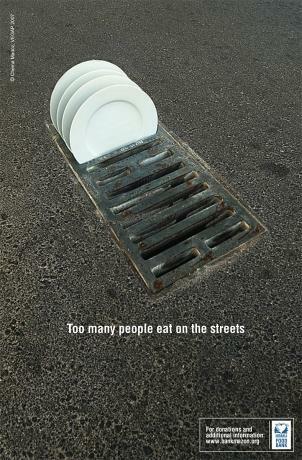 So that no one has to come here food." 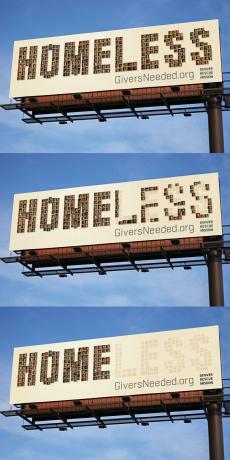 Here is a cool ad designed to look like a large cardboard sign like that used by many a homeless person. 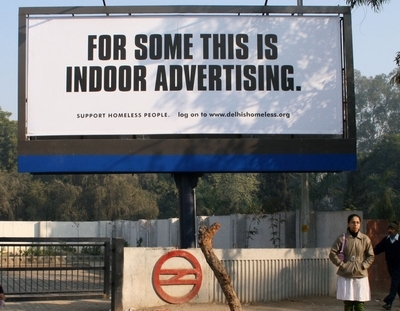 A billboard used in India to help raise awareness of the rising growth of homelessness there. 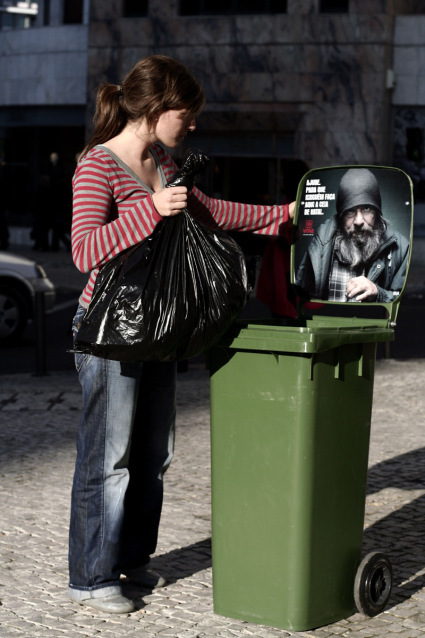 Another super creative ad by the salvation army to help gain support for their fight on homelessness in Brazil. 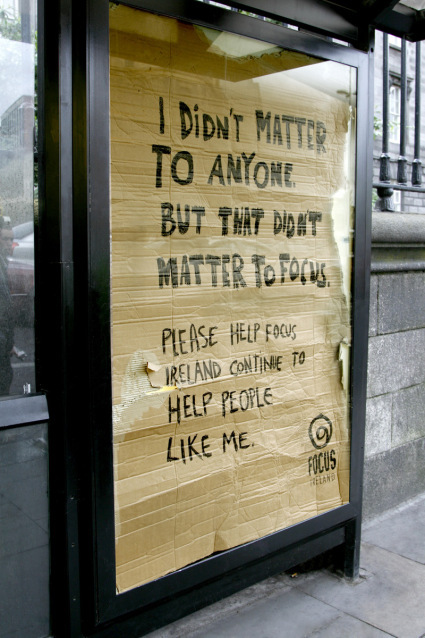 Homelessness isn't just in other countries. 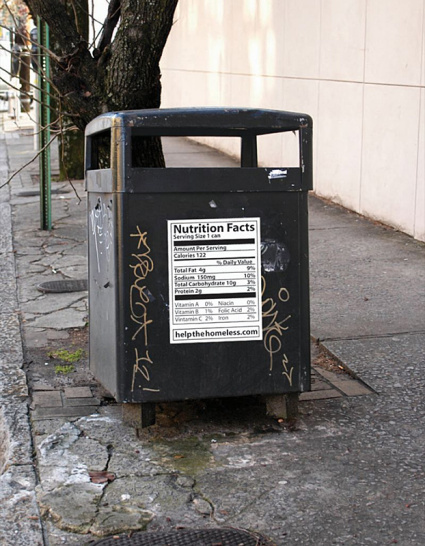 This ad was placed on trash cans around the US. 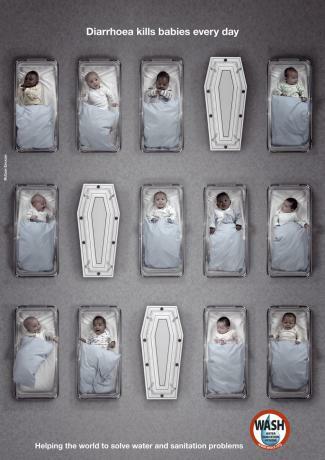 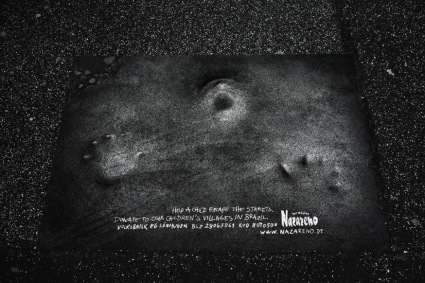 This ad reads; â€œFreeing them from malnutrition and poverty is in your hands. 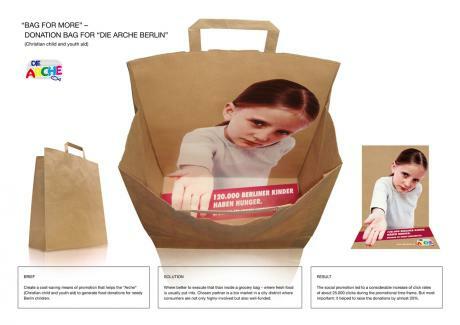 This is a unique bag advertisement in Berlin to promote the need for support with child hunger. 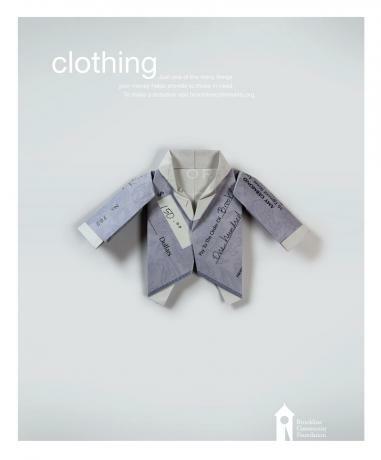 An advertisement design to help raise money for refugees. 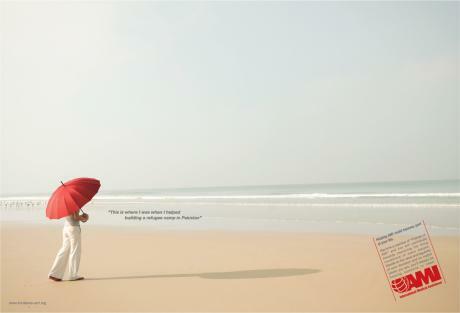 An ad that tackles the issue of bad water. 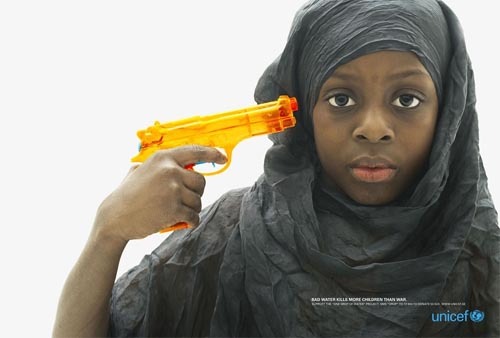 Ad reads; â€œBad water kills more children than war." 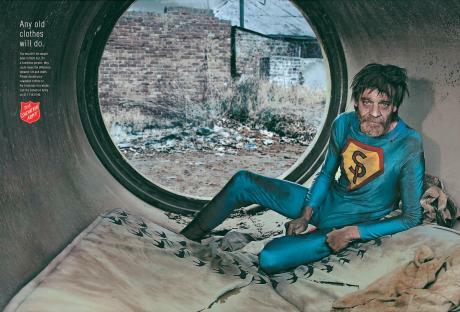 The ad is actually made up of pictures of homeless people in Denver. 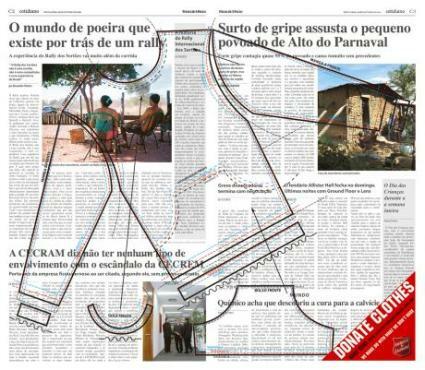 The images were removed once each person was helped. 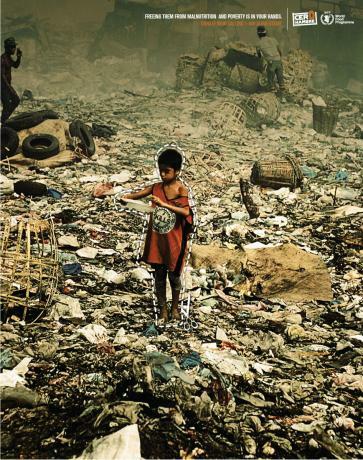 An advertisement aimed at help improve water sanitation. 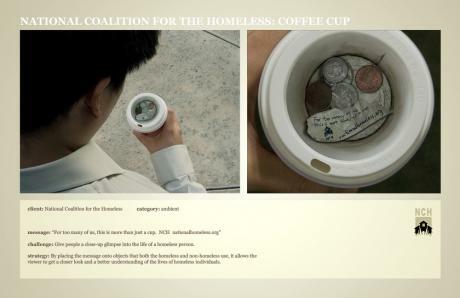 A creative advertisement the uses a coffee cup lid to look like a homeless persons change cup.